A Plane Unseen and Scattering its Curve, au loin, is an installation and concert taking place over two consecutive evenings. Using a triadic structure, the work poetically addresses the concept of the ‘angle of incidence’, from three connected states that propel desire: the exalted, the neutral and the profane. Considering the phrase ‘as above so below’, one of the central tenets of Hermeticism, Friedberg explores the behavior of reflected sound and its perception in this one-hour composition, comprised of three segments across the two levels of the Swiss Institute’s gallery space. Exploring the sonic construction of a reality that presents itself when what is heard is perceptually devoid of its source, the work suggests a perceptual fourth dimension, in which motifs of ley lines, parallel planes and spherical dimensions reoccur in an attempt to reveal the in-between unseen. AUDITORIUM was an extended evening of site-specific electronic and electroacoustic performances organized by artists/curators Lea Bertucci and Tristan Shepherd. The focal point for this event was a custom 10-channel sound system installed throughout the 50,000 square feet of Knockdown Center. This system acted as the point of departure for multichannel works by innovative sound-based artists Nate Wooley, Sabisha Friedberg, Marina Rosenfeld, Woody Sullender, and Phil Niblock. Bertucci and Shepherd commissioned new works from the seven composers, instrumentalists and audio artists to develop works uniquely suited to the site. The project culminated in a day-long event in which the selected artists presented their projects on site in a roving auditory experience. The double LP The Hant Variance was recorded at EMPAC with Peter Edwards in a custom-tuned environment using advanced multi-channel recording techniques to capture a configuration of spatialized sound sources. Combining granular synthesis, analogue synthesizers, tone oscillators and field recordings, the composition is comprised of three movements. The low-end bass, which was recorded live with a subwoofer configuration that allowed for rapid directional shifts, serves as a sonic armature for the piece. Sustained pure tones shift minimally and the allocation of sound engenders a sense of aural disorientation. This landscape, with the premise of summoning a new phantom or haunted sonic space, exists in an interstitial, albeit present zone. 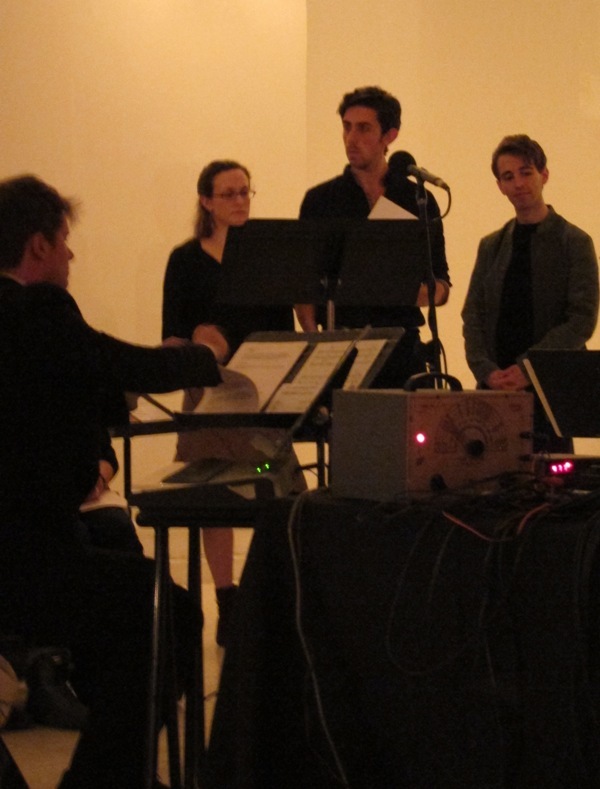 A live mix of the third and final movement of The Hant Variance was performed as a quadraphonic experiential piece. This finale, the most symphonic in it construction and melancholic in its tonality, is the resolution to the first two movements, released by ISSUE Project Room as a double LP, The Hant Variance, in February 2015. This piece, an octophonic installation/performance, is inspired by the concept of cyclical and ever evolving generation, conceived as a step towards my using real-time audio synthesis and algorithmic composition, such as SuperCollider. The analogue sources are used to emulate or perhaps be pushed to a certain organizational and experimental capacity, as an evolution of understanding these programming languages. From classical fine arts training, I tend to want to begin with something formal, precise or fundamental, and expand upon this conceptually and aesthetically. There is the thematic presence of the number 8, in configuration and with that which comprises the piece. 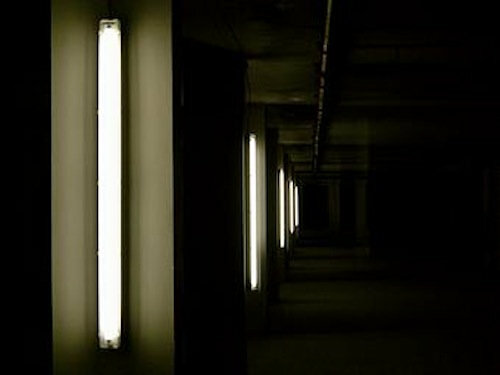 This aspect is unsaid but informs the organization of the elements, this idea of infinity being incorporated so that after I have left the piece and the audible sound has abated, the figures of this symbol act as sonic vanishing points – the idea of a sound continuum One halogen film light, one white film screen that backlights the listener/visitors. A continuing exploration into sound and frequency, this work-in-progress investigated the relationships of levitation, suspension, and low-end thresholds. The work was created during a four-month residency, the ideas actualized as a combination of performance, sculpture, and light-box cinema. A quadraphonic piece that is comprised of a specific composition using organic recordings arranged according to a graphic spectral score. The premise of the piece is traversion, through an arrangement of textures and tones. It has fixed points of duration and movements with an intention of spatialization through passing fragments that travel speaker to speaker whilst incorporating low frequencies via two subwoofers. The high tones travel in patterns, and the lower end of spectrum rests in a certain stasis to generate a sense of physical resonance - thereby bringing emphasis to a middle range that is absent to a degree in frequency but experienced as a sort of phantom intensity. The aesthetic to meant to convey a horizontal journey that evolves within the piece with crescendos that punctuate, the sonic image is of the sacred vessel that contains the arcane universe but can only be seen from one perspective at a time. For this I incorporate the formal decision of one light source, the natural pure light of one window. In (the limbs) of letters, not the bellows, was commissioned as part of ISSUE’s Artist-In-Residence program. A series of texts written by artist served as the sonic foundation of this live solo multi-channel voice, electronic and acoustic instrumental piece. A narrative of fragments, with phrases as utterances, comprised the displaced speech which was reduced to le grain in an evolving audial series that became more reductive as the days progressed. 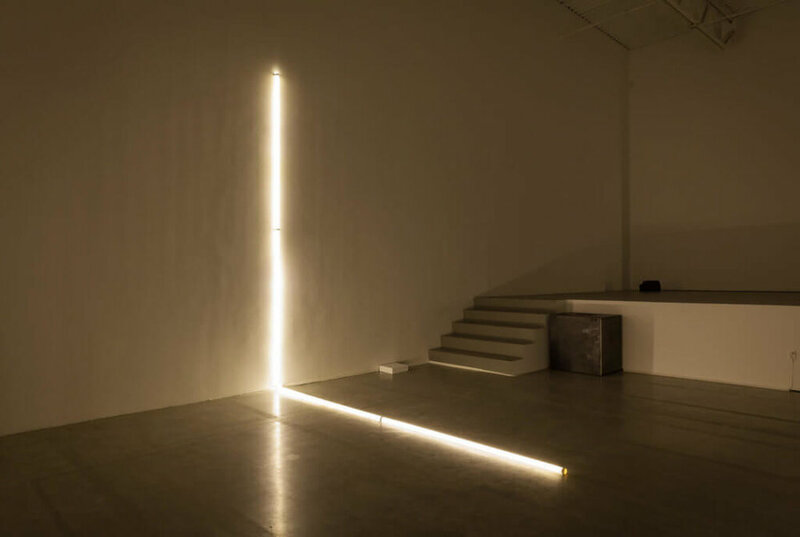 These sonic lines circulated and reflected within the space as the artist executed a progressive excising of the material, a cutting away at the heard contents' contextual constructs. These absences left other possibilities for associations with what is now audible and what is absent. Sabisha Friedberg explores the notion of levitation through a series of forms, both visual and aural. Drawing upon arcane sciences, contemporary non-linear theory, and ELF/subwoofer culture, the artist presents a personal metaphysical landscape addressing the notions of suspension, tension, and gravitational defiance. Presented in triads of a devised language, the texts, visuals and audio works evolve in a phasic manner in both action and form over the course of the exhibition period. Composed during Friedberg's residency at the Clocktower Gallery, The Starry Garter: A Certain Point Within a Sphere is a sonic poem for radio that combines elements of sound art, radio theater, film, and music to examine themes of transmutation and redemption. Friedberg’s work is based on Etidorhpa, or, the end of the earth: the strange history of a mysterious being and the account of a remarkable journey, the tale of an unknown man’s quest into the center of the earth, which divulges arcane secrets in a process of initiation, and reveals a journey to an ethereal plane of non-material existence. Following Etidorhpa’s narrative arc, Starry Garter updates traditional radio theater by emphasizing the text’s sonic elements with atomized dialog, an electro-acoustic process, and interludes of acoustic cello, piano, and chorus. The live performance of The Starry Garter transforms this 19th Century hermetic tale into an aural soundscape further textured by effects generated by vintage foley work (old-fashioned, handmade radio sound effects). Commissioned by the Ministère de la Culture in Paris, France, the Points Radiants composition was performed at the Palais Royal. 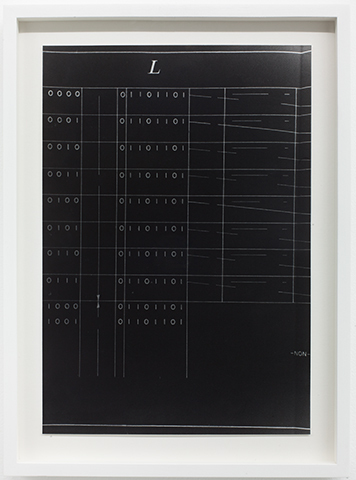 This piece was influenced in execution by the French électroacoustique tradition of using organic sounds in a collage of reassigned sounds, or musique concrète. The work refers to the rich history of the Palais Royal itself, once inhabited by many artists, intellectuals and nobles. Using a combination of archival material and field recordings of the gardens and structure, Points Radiants is an assemblage to evoke the grandeur and presence of the inhabitants, as well as a certain combination of presence and silence, of antiquity and the present, that exits there. The solo performance was intended to resonate in a structure that also houses the contemporary Daniel Buren sculpture series. 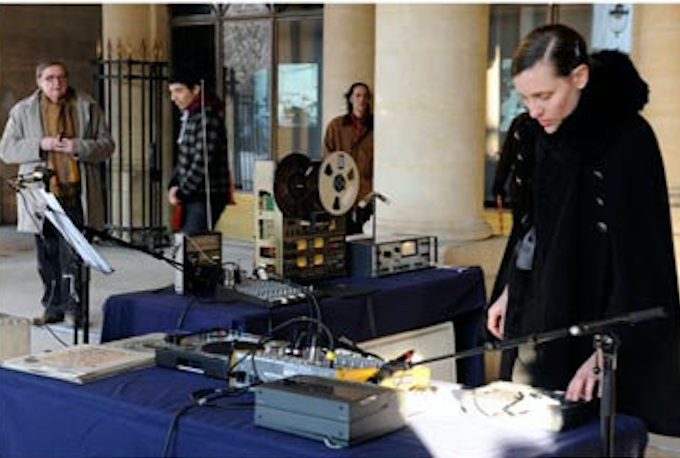 The outdoor performance presented a certain French phraseology and tonal quality that would be more lilting, attempting to present something site-specific and non obtrusive – much like a conversation that might occur in the garden, but with rare references and vanquished/extinct sounds.